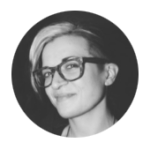 I have some very awesome, very creative, very weird friends who are part of a music and party collective called Mischief DC. They built a large flaming bar that they bring to festivals and camping events, and this bar is constructed out of six flat wooden panels. Mischief put out an open call for theme ideas to be painted onto these panels of their flaming bar in time for an upcoming festival. I suggested “gods of mischief” (like Loki, Raven, Fox, Anansi, etc) to tie in with their existing Cheshire Cat brand — an ancient family of mischief makers. They liked the idea, so we ran with it. After a lot of engrossing internet research into the topic of trickster gods, I picked Fox for my panel. 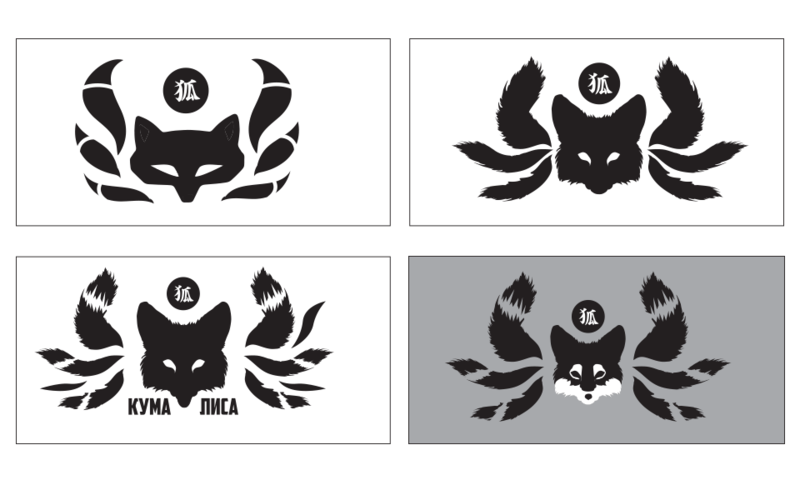 Fox is one of the oldest and most prolific animal symbols of mischief and cleverness that appears in ancient folklore and cultures all over the world. 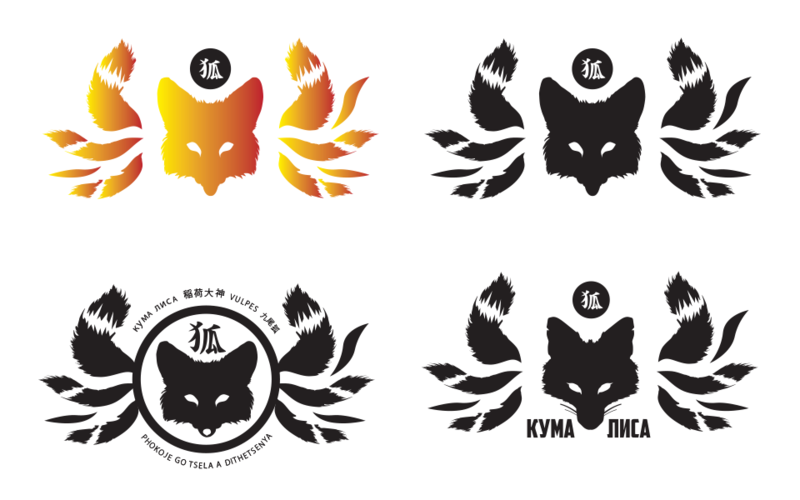 To reflect this, in the design I incorporated the name for the fox god in Russian (Kuma Lisa), Japanese (Kitsune, the fox with nine tails), Chinese, and the standard species Latin. 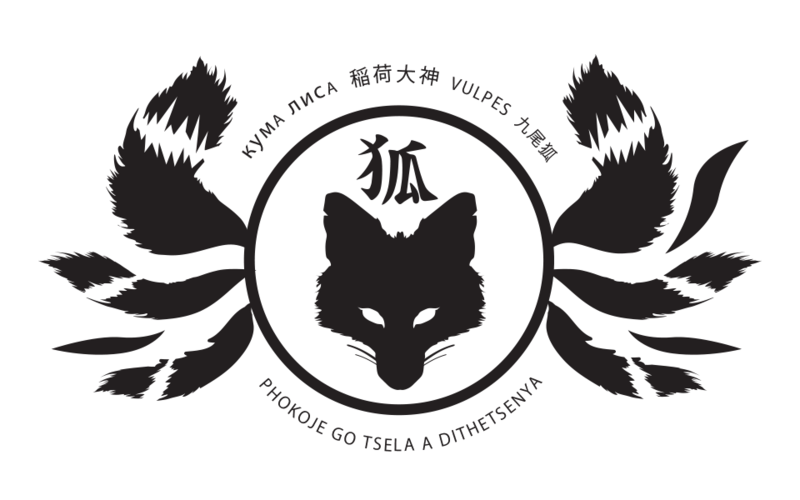 I found a delightful (and project-relevant) Bantu phrase for their fox god: “Phokoje go tsela o dithetsenya.” This translates roughly to “Only the muddy fox lives” — if you’re not afraid to get your hands dirty, you’ll thrive when others don’t. From the research to the initial sketches, to projecting the final design onto the panel and finally making it all real on a hot July day with my friends (rolling around in paint, dirt, sweat, and god’s own Montana gold spray paint) this was one of the most enjoyable, sweatiest, awesome-ist projects I’ve ever completed. 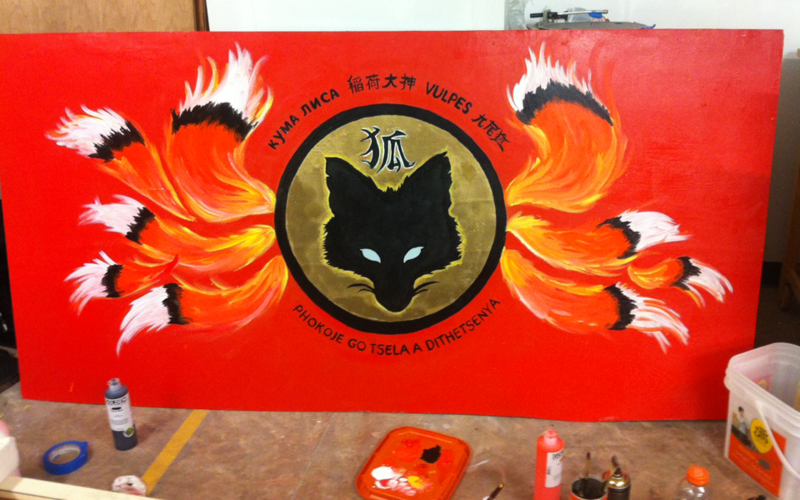 Final design to be painted onto the panel.